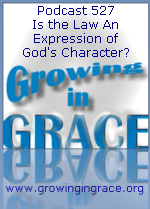 Growing in Grace Podcast: 527. Is the Law An Expression of God's Character? 527. Is the Law An Expression of God's Character? It has often been taught that the law that came through Moses is an expression of God's character. We frequently begin to assume such phrases are actually found in the Bible. If this is an accurate statement, we should ask the question as to whether God went through a change or if his character went through some sort of transformation. 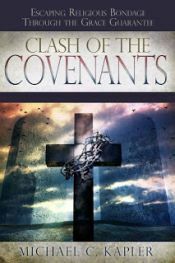 Of course, we know God doesn't change, but with the New Covenant replacing the first one, we find there was a change of priesthood (Jesus Christ) and therefore a change of law occurred. Although the law was a reflection of God's perfection, we should avoid comparing it with God himself and realize it was Jesus (grace) who was manifested as an expression of God's character.